Essential Life Coaching Skills provides a comprehensive guide to the complete range and depth of skills required to succeed as a life coach. 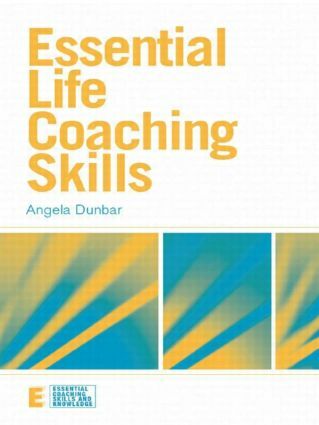 Angela Dunbar uses theoretical background alongside practical examples to provide a clear understanding of what makes a successful life coach. This book focuses on seven essential skill sets that are necessary for effective life coaching, with each chapter giving specific examples of how these skills are used in life coaching, and how they can be developed and improved. The book also includes a comprehensive, current overview of life coaching processes, practices and issues, from both the coach and client perspectives. Essential Life Coaching Skills will be ideal reading for new and existing life coaches who wish to find ways to enhance their competence and ability. It will also be of use to therapists and counsellors looking to expand into coaching.